An alternative to traditional solvents. Highly effective brush cleaner and conditioner formulated with organic ingredients to be non-toxic and non-flammable. Turpenoid Natural is an alternative to traditional solvents for those concerned about health, safety, or environmental issues. 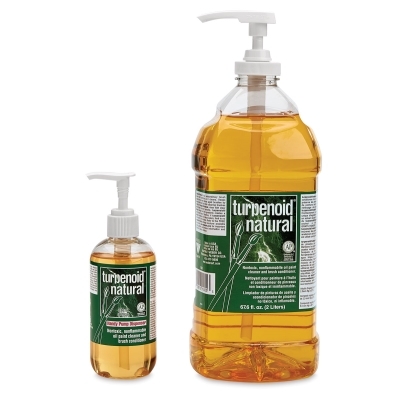 Turpenoid Natural is a highly effective brush cleaner, conditioner, and painting medium that is specially formulated with organic ingredients to be non-toxic and non-flammable.